Camiguin is the real tropical paradise. High volcanoes with natural forests meet the pristine waters of one of the best dive-spots in the Philippines. We consider Camiguin to be the southern outpost of the Visayan Islands although it administratively belongs to Northern Mindanao. Why? 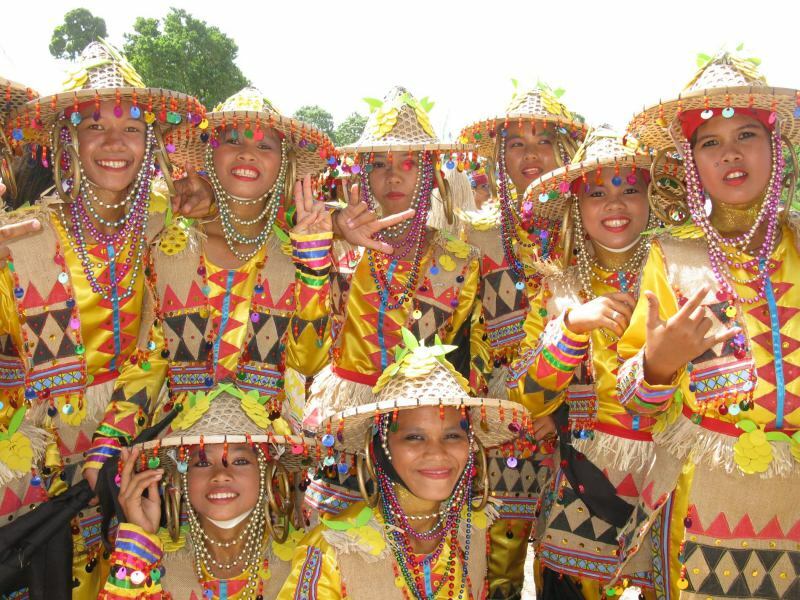 The language spoken is Visayan, the culture is neither of the Visayas nor Mindanao. The name Camiguin is derived from the native word "Kamagong," a tree of the Ebony family that grows near lake Mainit in the Province of Surigao del Norte. The original inhabitants of Camiguin were "Manobos" who migrated from Surigao. The old native language in Camiguin is called "Kinamiguin," which is similar to the dialect spoken in Surigao. What is so outstanding on an island as short as 33km and only 14km wide at its largest point? It is the most peaceful island in the Philippines. Strangers are welcome and hear "Hello Friend" instead of the ugly "Hi Kano" or "Hi Joe". And very important: The visitors of Camiguin are most respectful, they seek an untouched island with a great variety of landscapes and very friendly hosts. Locals say that Camiguin means "Come Again". The topography of Camiguin could have been the stage of "Jurassic Park". The only missing cast are the T-Rex, but there are the tucos, a gecko out of the same age. Hear the tuco yelling for a mating partner in the evening, you will never forget it. When you arrive by ship, either from Balingoan (Mindanao) or from Cebu-City (Cebu) or from Jagna (Bohol) the volcano cones make you shiver (that's fine, because it is rather warm here). Find sandy beaches - white or black, cliffs and high mountains. Camiguin is one of the last islands offering real jungle trekking. Camiguin has a mild climate with average temperatures 26-28°C. January is the coldest month with temperatures going down to 24°C. March and April are the hottest months with up to 33°C. Rainiest months are December and January and sometimes February. Camiguin has 2 peak seasons. The first is the "Holly week" before Easter and the Easter weekend. The second is the 3rd week of October when the the Lanzones festival is celebrated. For these two weeks hotel reservation is strongly recommended. Book your transportation several weeks ahead! You will have enough to do and to discover for a whole week. Plan your return journey flexible. Weather can make travel impossible or you have to take another route. Sometimes the ferries do not sail or the planes do not fly. Take enough cash with you. Sometimes all four ATMs of the island are out of service. You can change money in Mambajao at Philippine National Bank and Landbank. Slippers are OK. But if you plan to climb Mount Hibok-Hibok or hike up in the hills, we strongly recommend good hiking shoes. Camiguin is one of the top dive-spots in the Philippines. Plan at least to go snorkelling. Fun dives are available at different resorts. Currently not sailing at all. Bus between Cagayan de Oro and Balingoan every 30 minutes. Trip lasts 2 to 3 hours. You may zoom in and out..
Move over the icons and click for more information. 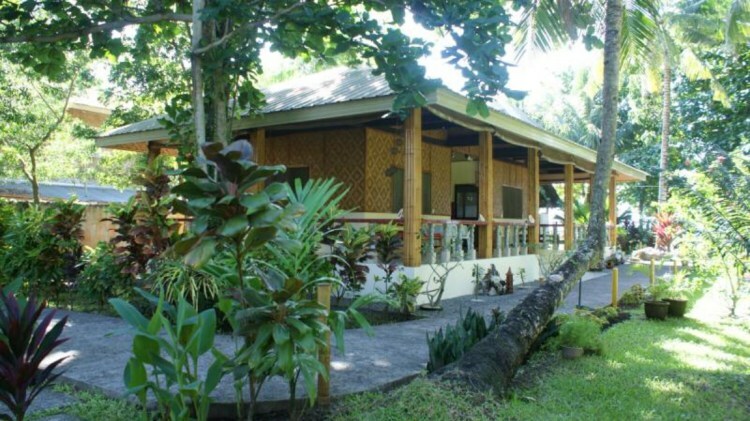 We recommend a stay of at least 5 days in Camiguin. The day of your arrival or the second day you should do a trip around the island. You can do this 64 km journey either on a rented motorbike or with a jeepney or multicab. Some resorts organize accompaned trips with a guide. This roundtrip allows you to visit the tourist spots along the coast line.The trip lasts between 4 and 8 hours, depending on the program. It also gives you an idea of where to find th other spots and the time you need to get there. You may also click on the icons on the map to reach descriptions and photos of all the places of interest in Camiguin. You may also directly go to the page with all Camiguin trips. You may zoom in and out and change the type of map between street, terrain and satellite view. Camiguin is one of the top dive-spots in the Philippines. Plan at least to go snorkeling. There are currently 5 dive-bases on the island: Camiguin Action Geckos, Camiguin Volcan Beach Dive Resort, Johnny's Dive 'N' Fun, Algen's Dive Resort and Camiguin Souldivers. Some of these dive-bases offer PADI courses. The sea around Camiguin is all year around 25 - 31°C warm. There are white sandy beaches, black sandy beaches and beaches with rocks and pebbles. In the hills you find hot and cold fresh water springs. The cold springs can go down to refreshing 22°C. Choose a relaxing strolls in the forests and around the waterfalls or go up to Mount Hibok-Hibok or do the way of the cross and finish your trip up on old vulcan Daan. Guides and equipment for mountain trips are available at some resorts. From November to May ask for Heinz! Experience an active volcano. Check how PHIVOLCS is monitoring Hibok-Hibok volcano. Climb up to the crater of Hibok-Hibok. Swim in the hot and cold springs with volcanic mineral waters. Camiguin is rich of native plants and endemic animals. Go up in the hillside forests and wait quietly, you will be surprised by the animals you'll encounter..
Do nothing. Relax from the daily stress, from polluted and noisy city-life, Sit on the beach an listen to nothing other than the waves. Some resorts also offer meditation and yoga..
Camiguin Restaurants got richer in choice and better in quality. There are Filipino restaurants who discovered that Pinoy food can be tasty and can look apetizing. Most of the restaurants are located in the north-western part of Camiguin from Bug-ong to Naasag. Some more restaurants can be found in Mambajao town. Do you dare for real Italian pasta and pizza or do you prefer the Asian touch? What you fortunately do not yet find in Camiguin are the big restaurant and franchising companies. Missing a restaurant? Please contact us. You may also directly go to the page with all Camiguin restaurants. There are only 3 hotels in Camiguin referred in the "Guide Michelin". The best one has 2 stars. Agoda rates only hotels and resorts that are accepting Agoda's bookings (with their commission). Most hotels and resorts are on the north-western end of Camiguin. So please zoom in the map to separate the icons. Most of the resorts do have their own website. Links are provided. We do not rate the hotels and resorts. For ratings please refer to Tripadvisor, Agoda and even Google. Missing a hotel or resort? Please contact us. You may also directly go to the page with all rated Camiguin Hotels and Resorts.